What Does The Best Bond Cleaning In Ascot Cover? Finding and selecting reliable house cleaning in Ascot is not easy. The most common questions we get asked by people like yourself have been collated below to assist you in making a smart decision. 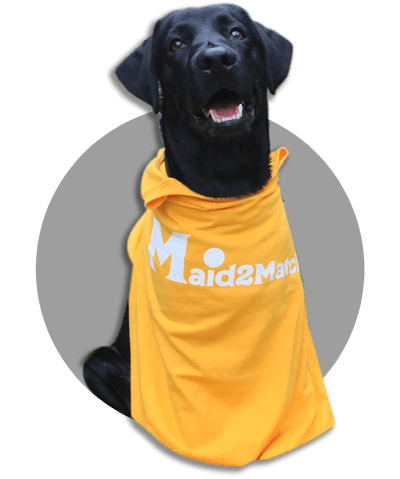 WHY ARE MAID2MATCH ASCOT’S BEST AT VACATE CLEANING? The truth is great bond cleaners possess a different skill set than regular house cleaners and therefore requires specific experience, dedication, and a first-class cleaning checklist. At Maid2Match, we personally vet all our cleaners, after having them complete a three-part application form. We provide extensive support and have crafted the most effective bond cleaning checklist you’ll find. Don’t take any chances with your bond cleaning Brisbane, contact us today. This wonderful suburb that’s renowned for its big-size Queenslander houses is situated 7 kilometres North-East from the Brisbane CBD. Apart from the picturesque, vintage houses, this suburb is also known for the poinciana trees that guard the Racecourse Road shopping area. There are plenty of things to see here, including a visit to the Doomben racecourse if you want to delight in a racing carnival. Although it doesn’t have a huge number of people, Ascot has a very diverse population. The locals have plenty of coffee shops where they can enjoy a warm cup of coffee, as well as diverse restaurants. But their outdoor markets are among the best in the area. In the first few decades of the 19th century, the rich settlers bought land here so there are plenty of heritage listings and houses with a traditional architecture. Even the famous pastoralist James Sutherland owned land in this area and built the heritage-listed house of Windermere. You can also visit the Eagle Farm Racecourse, as one of the oldest horse racing spots here. This racecourse became Camp Ascot during World War II, used by many US units. If you’re interested in the history of World War II, the “Nyrambla” house at 21 Henry Street has plenty of secrets to share too.